The Civil Courts (the court which deals with compensation) operate separately from the Criminal Courts. Civil Courts operate on different rules and procedures. They are designed to decide disputes between one individual (or a company) and another. The Civil Courts generally award compensation to the winner but can make other types of awards. They are presided over by a Judge sitting alone without a jury. The Claimant (survivor) goes first and presents his/her evidence followed by the Defendant (the person or organisation being sued) Both sides then make closing remarks. The judge then gives his decision. Sometimes the judgment follows days or weeks later, to give the judge time to think. Q: What is the Civil Court? The Civil Court system of England and Wales is separate from the Criminal Court system. (Scotland and Ireland have their own separate legal systems.) In simple terms, while the role of the criminal court is to decide whether someone is guilty of a criminal offence, the role of the civil court is to resolve disputes between two or more people. 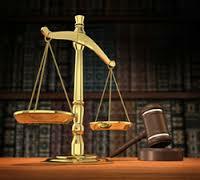 (The Criminal Court system is explained in the section “The Criminal Court Procedure Explained”). The Civil Courts are divided into two main categories: the County Court and the High Court. Judges in the civil courts will hear cases involving for example divorce, child care and adoption, consumer disputes, bankruptcy, contract disputes and compensation claims involving accidents or personal injuries. Most civil cases will be heard at a local county court. For cases involving very large sums of money or very complex issues, the High Court will usually hear the case. Most towns have a local county court. Most larger towns and cities have a High Court as well as a County Court – these courts are usually in the same Court building. Q: Can I claim compensation? If you have been abused as a child, you may be entitled to claim compensation either from the person who abused you, or from someone else responsible for that person, for example, their employer. 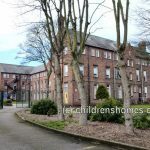 For example, if you were in the care of the Local Authority at the time of the abuse, such as in a Children’s Home or in Foster Care, it is likely that the Local Authority (the local council or social services) will be legally liable for the abuse. You may therefore be entitled to claim compensation from the authority. If you were not in Local Authority care and were abused by a family member, neighbour or stranger, then you may be entitled to sue that person directly. Alternatively, you might be eligible for Criminal Injuries Compensation. Q: When should I bring a claim for compensation? Legal time limits apply to any claim for compensation. Generally, where a person is seeking compensation for a personal injury, whether a physical or psychological injury, the law states that a person should bring a compensation claim to court within three years of the date of the ‘accident’ or incident giving rise to the claim. This is known as the limitation period. If the claim is against another person or body, for example a Local Authority for negligence, a 3 year time limit applies. Where a person was injured as a child, the legal time limits would not begin to run until the child became an adult, upon them reaching the age of 18. The legal time limits are very strict. In special cases, however, the Judge may have a special discretion to allow the case to proceed outside of the usual time limits, depending upon the individual circumstances of the case. This discretion only applies in exceptional circumstances. In practice, many victims of child abuse, in view of the psychological damage caused as a consequence of the abuse, do not disclose the abuse or are unable to talk to anyone about the abuse, often until many years after the abuse. This can cause difficulties with pursuing a legal claim for compensation. However, the Courts are beginning to recognise these reasons. Specialist advice will always be required from a Child Abuse Lawyer before bringing a claim in such circumstances. People with learning difficulties may not be subject to the same time limits, depending upon the nature of their learning difficulty. In any proposed claim for compensation, the child abuse victim or an appropriate adult on their behalf should seek legal advice at the earliest possible opportunity if their claim is not to be ‘out of time’. Q: What happens if the Defendant admits my claim? If the Defendant, upon receiving the claim form admits the claim, s/he will send an admission form to the court. The court will then ‘enter judgement’ against the Defendant. This means that the Claimant has won his/her case and will not have to attend court to prove the claim. It will then be necessary for the court to fix a date when the amount of compensation can be assessed by a Judge, unless the Defendant agrees an amount with the Claimant before the final hearing. In child abuse claims, it is unlikely that the Defendant would admit the claim at this stage in the court proceedings. It is more likely that he/she denies the claim by sending a formal Defence to the court. Q: What happens if the Defendant denies my claim? Upon receiving the claim form from the court, the Defendant denies the claim by sending the court a formal Defence. Usually, the Defendant will instruct a solicitor to prepare the Defence. The Defendant has a limited time to send the Defence to the court. If the time limits are missed, then generally the Claimant will be entitled to ask the court to ‘enter judgement’ against the Defendant. Once the Defence has been filed, the Judge will then ask the solicitors for both parties to fill in a questionnaire about the case. This will help the Judge to decide how the case should proceed. At this stage, the case is usually under the control of the Judge who will determine how the case should proceed. (c) The small claims track, for low value cases of less than £1,000 (where a personal injury is involved), or less than £5,000 where there is no injury. The court will then set a timetable, specifying dates for the parties to comply with certain court ‘directions’. The court directions will be in the form of a court order requiring the parties, for example, to exchange documents, experts reports and witness statements. The court timetable may be spread out over a period of months, often up to 12 months. Only after the parties have complied with these directions will the court then decide whether the case is ready to be heard at trial. Q: What happens at Court? Throughout the whole case the solicitors for both parties will usually try to resolve the dispute without the need for a court trial, with a view to reaching an ‘out of court settlement’. If settlement can not be reached before trial, the court will set a trial date when all of the parties, their solicitors, medical experts and witness will all be required to attend. 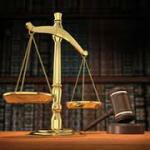 Usually, a specialist barrister will be instructed to attend court on behalf of the parties. The purpose of the trial is for the judge to try to resolve the dispute between the parties. The Judge’s role is to hear the facts and the evidence, to consider and apply the appropriate law and to decide whether the Claimant is able to prove its case against the Defendant. Unlike in the criminal court, there will generally be no jury to hear the evidence. 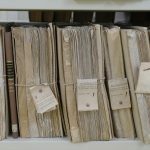 Evidence can be in the form of ‘oral’ evidence, that is, where a person speaks to the court in the witness box; written evidence, for example in the form of a statement, document or letter; ‘forensic’ evidence, such as DNA test results; or any other evidence, for example an object such as a knife. The Claimant will usually be the person who will provide the court with the first-hand evidence. There may be other witnesses to support or ‘corroborate’ the Claimant’s evidence. A Court requires evidence before it can determine the issues in dispute. The Claimant will be required to present evidence to the Judge. The Claimant will be required to attend court if the matter proceeds to trial and will usually be required to stand in the witness box, unless, for example, they have a learning disability and might be unable to give evidence. The Claimant’s lawyer (a barrister or a solicitor) will ask the Claimant questions based upon their witness statement so as to tell the Court what happened, thereby presenting the evidence. A Defendant has the right to challenge any evidence put forward by the Claimant. To do this, the Defendant’s lawyer will ask the Claimant questions to try to discredit or attack their evidence. This is called cross-examination. The judge may also wish to ask the Claimant questions to clarify any parts of their evidence. The same procedure will then follow with any witness. The Defendant will usually give evidence in the same way and may also have witnesses in support of their case. The same procedures apply and the Claimant’s lawyer will be entitled to cross-examine the Defendant and the Defence witnesses in the same manner. After considering all of the evidence and the legal arguments, the judge will then give his/her judgement. Unlike in the criminal court, if the Judge considers that ‘on the balance of probabilities’ the Claimant has made out his/her case, then the Judge will find in favour of the Claimant and then determine the amount of compensation to be awarded. Q: How much compensation will I get? The amount of compensation depends upon the particular circumstances of the case. Each case will be different. (b) Special Damages, for particular items of financial loss both in the past and in the future. General damages are awarded for the physical and psychological pain and suffering the Claimant has experienced. Psychological damage is usually in the form of a Post Traumatic Stress Disorder (‘PTSD’) (see ‘What is PTSD?’) and must be confirmed in writing by a medical expert such as a Psychologist or Psychiatrist. With the assistance of the medical report, the Judge will determine how long the pain and suffering has lasted and, if it is still continuing, how long it is likely to last in the future. The Judge will look at cases which have been decided by courts in previous cases involving similar ‘injuries’, which will be used as ‘precedents’. The Judge will then award an appropriate amount of compensation, taking into account all eventualities and including interest. The Judge will then determine the value of any Special Damages, or items of financial loss, such as loss of earnings, the cost of therapy or any other quantifiable loss incurred as a consequence of the abuse, either in the past, or in the future. The final award of compensation will then be made, and in the case of children or people with learning difficulties, directions given as to how the compensation should be invested or placed on trust for the future. Q: Will the civil court punish the Defendant? No. The role of the civil court is to resolve a dispute between the parties. The Judge may order the Defendant to pay compensation and costs to the Claimant, and in some cases may penalise the Defendant with an order to pay a higher rate of interest or additional damages. The Judge in the Civil Court does not have the power to punish the Defendant by sending him to prison. This is the role of the Criminal Court (See ‘The Criminal Court Procedure Explained’ by clicking here). The litigation process in the Civil Courts of England and Wales is complicated. Being involved in litigation is stressful for all concerned. Failing to understand the complexities of the rules of court, court procedure and the length of time involved often adds to that stress. The diagram below aims to identify and explain the most important steps involved in a civil claim for compensation. Read together with our guide to the civil court, ‘The Civil Court Procedure Explained’, it is hoped that anyone involved in the process of litigation will have a better understanding of the system making the journey to trial smoother. Q: How Should I Prepare for Court? Be very clear about the time, date and place of the Court hearing and know exactly where the Court is. Every Court has its own leaflet which will tell you where the Court is and whether it has any special facilities. The Court will send you a leaflet if you ask it to do so. If you have a disability which makes going to Court difficult or communication at Court difficult, you should contact in advance the person who asked you to go to Court so that they fully understand any difficulties you might have. You should also contact the Customer Services Officer at the Court in question. Alternatively, you can contact The Court Service Disability Helpline on 0800 3583506 between 9.00 am and 5.00 pm Monday to Friday. Calls to this number are free. If you are deaf or hard of hearing, you can use the mini-com service on 0191 4781476. Before going to Court, make sure that you know what documents or papers you will need to take to court and take all the papers about the case that you need. Make sure that they are in the correct order and that you can refer to them quickly and easily. Courts are usually very formal and you should dress appropriately. The length of time you spend at Court can often be longer than you might first had thought. There can often be delays and you should be prepared for this. You might ask a friend to go with you to keep you company or you should take a book or something to keep you occupied while you are there. It is always a good idea to visit the Court before the day when you are due to attend as a witness if possible to see where the hearing will take place. Having a better idea of what the Court looks like both from the outside and on the inside will usually help to take away any fears you might have. You can ask a member of the Court staff to show you where you will give your evidence. It is of course best to arrange this with the Court in advance in order that they can arrange a suitable time. Some solicitors might want you to visit their office before going to Court in order that you can discuss the evidence you will give at Court and to give you an idea of the type of questions you might be asked at the Court hearing. Q: What Should I Do When I arrive at Court? Always arrive in good time. When you arrive at Court, report to the receptionist or the Court usher to tell them that you have arrived and the name of the case you are involved in. The Court usher will usually be wearing a black gown. A note will be made that you have arrived and this will make it easier for the other people involved in the case to try to locate you, possibly by tannoying for you on the loud speaker, so listen out for this. You will normally find a list of cases that are being heard in the Court on that day close to the waiting area. The list will tell you which Court your case will be heard in and will tell you the name of the Judge. This can be subject to change, so keep a regular check on this information. If you have to leave the waiting area for any reason, always tell the Court usher or another person involved in the case so that you can be found when needed. Do not be surprised if there may be last minute changes whilst at Court. For example, you might be told that the case has been resolved at the last moment and that the hearing does not need to take place. Sometimes, the hearing might need to be adjourned without you giving evidence or sometimes, you might be told that your evidence might have to be delayed until later in the day or to another day. Q: What Should I Do When Giving Evidence? When it is your turn to give evidence, the Court usher will usually call out your name and you will be shown to the witness box. You should stand up, or, if you find standing difficult, you can ask to sit down. Usually witnesses are allowed to sit in Court before they give evidence and remain in Court after they have given evidence. Sometimes however, either of the parties in the case can ask the Judge that a witness stays outside of the Court until it is their turn to give their evidence. If this happens and the Judge agrees, you will be told and will be shown where to wait until the usher calls you into the hearing. After you have entered the witness box, you will be asked to take an oath, that is, to swear that what you are about to say in Court is the truth. An oath is taken either on the bible or another holy book and you will be given a card to read or told by the usher what to say when taking the oath. If you prefer not to swear on a holy book, you can give a promise to the Court to tell the truth (an affirmation). 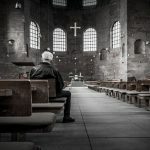 It will help if you tell the usher that you want to ‘affirm’ or on which particular holy book you wish to be sworn <u>before</u> you go to the Court room. The solicitor or barrister who has asked you to go to Court will first ask you questions about your Witness Statement. Then after you have been asked questions by that solicitor or barrister, the solicitor or barrister for the opposing party will usually ask you questions to verify your statement. This is called ‘cross-examination’. The Judge might also want to ask you some questions. The solicitor will usually wear a gown and a barrister will usually wear a wig and gown. The Judge will also usually wear a wig and Court robes. Q: What Should I Call the Judge? There are different types of Judge depending on the type of case you are involved in. The Judges are addressed according to which type of Judge they are. In the County Court, a District Judge is addressed as ‘Sir’ or ‘Madam’. A ‘Circuit Judge’ in the County Court is addressed as ‘Your Honour’. A High Court Judge is addressed as ‘My Lord’ or ‘My Lady’. Ask a member of the Court staff or a party’s solicitor if you are unsure which type of Judge will be hearing your case or how to address the Judge. When giving your evidence, remember to speak clearly, giving your answers to the Judge and not to the person who asks the questions. Try always to remain calm and do not get annoyed if you are asked any questions which you think are unfair. If you do not understand a question, or could not hear what was said, do not be afraid to say so. If you need to refer to any papers, you must ask the Judge if you may do so. The length of time you are in the witness box will depend upon what questions you are being asked. This could be anything from a few minutes to a few hours. When you have given your evidence, you will be told that you are ‘released’ and are free to leave the hearing. You should only leave the Court building if you are released before the hearing of the case is finished. Sometimes, if you are released for example when there is a lunch break or other break, you might be asked to come back later that day or another day. You will be told by the Judge not to speak to anyone about the case until after you have finished giving your evidence. Q: Can I Claim Expenses for Attending Court? Your costs in travelling to and from the Court. A reasonable contribution to compensate you for any income you may lose when going to Court. The cost of over-night accommodation if this is necessary. The cost that can be paid in relation to expenses however are only a contribution and some cases are fixed to a maximum level. They would rarely fully compensate you for any loss of wages. Q: What should I do to prepare for Court? details of the Court facilities including food and drinks, telephone and separate waiting areas. Also, if you have made a statement, make sure you read it before you go in order to refresh your memory. If you cannot find your copy, and your solicitor to send you one. Court Rules set out specific requirements for experts’ reports. You have a duty to the Court to help the Court with all matters within your expertise. Your duty to the Court overrides any obligation you might have to the party instructing you or paying for your report. Your report should always be addressed to the Court and not to the party who instructed you, or asked you to prepare your report. a signed Statement of Truth verifying the contents of the report, that is ‘I believe that the facts I have stated in this report are true and that the opinions I have expressed are true’ followed by your signature. If you knowingly give false information in your report and you have verified it with a Statement of Truth, you might be liable to a fine or imprisonment. Sometimes the opposing party in a case might agree a particular report to be used in evidence. If this happens, you might not have to go to the Court hearing. You will be told if you do not have to go to Court. The general rule is that your attendance at Court will not be required and your evidence will be limited to your written report. If you do have to give evidence at Court, the person asking for your report will tell you when and where to attend or send you a Witness Summons. Q: Can I Refuse to be an Expert Witness? If you are asked to be an expert witness, you must decide whether you can spare the time from your work or business to prepare a report and perhaps go to Court. You should consider these matters before agreeing to prepare any report. If you agree to prepare a report and are asked to go to Court, you will be obliged to do so and might be summoned to attend Court. As an expert, you will be entitled to a reasonable amount to compensate you for any income that you may lose when going to Court and for your expenses in travelling to Court. This should be agreed in advance with the solicitor instructing you.